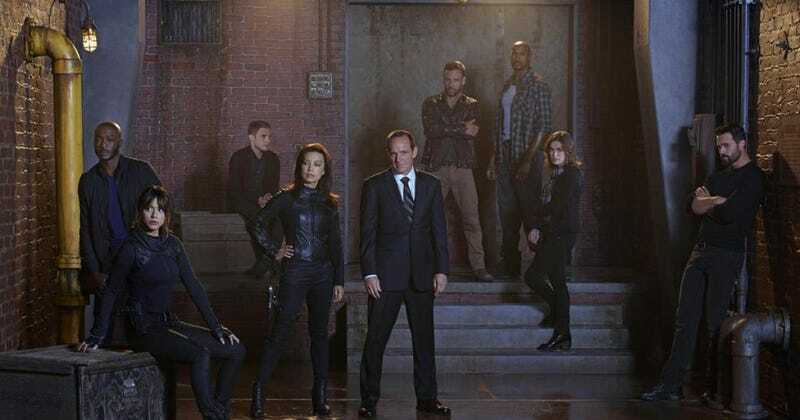 While we wait patiently to learn the fate about a second season of Agent Carter (oh please oh please oh please), Marvel has more TV news to drop — namely that a new Agents of SHIELD spin-off series is in the works, and that the show will be preparing for it over the rest of its second season. We don’t know is which characters from the current series will be moving over to the proposed spinoff – so let the speculation being on that. There won’t be an implanted pilot episode this season directly setting up the spinoff, either (like how CW launched The Flash out of Arrow). However, story elements that are still to come on SHIELD this year will be used to lay the groundwork for the potential new series. So by the end of the season – assuming the details for this project haven’t already leaked, which is rather unlikely – the spinoff concept should be clear. Right now, my best guess is either a show about another SHIELD team — maybe a smaller, elite unit like the Agents of SHIELD guys started out as — or an Inhumans show, although I still doubt Marvel will allow the main Inhumans like Black Bolt, Medusa, and everyone else set to star in the eventual Inhumans movie to debut on TV. That said, I'd trade either or both for a second season of Agent Carter. In a damn heartbeat.